TOP 17 Interview Questions for Credit Analyst - Ready to Answer Them? Most banks will provide excellent training to each new employee–including the credit analyst. And while you still need at least some skills in advanced math and quantitative analyses, plus a bachelor degree in finance, accounting, law, or management to apply for this job, the core of the interviews will consist in personal and behavioral questions. How you deal with them will decide the outcome of your interview. Your answers to the personal questions help the interviewers to understand your motivation, your communication skills, teamwork ability, and other things that are important for this position. Your answers to the later (behavioral interview questions) help the hiring managers to understand your attitude to various situations that happen in a workplace, and your readiness for the job. Let’s have a look at both groups of questions. Why do you want to work as a credit analyst? Why do you think you can be good at this job? Why our bank, and not one of the competitors? Describe a time when you felt pressure in work (in school). How did you handle that? 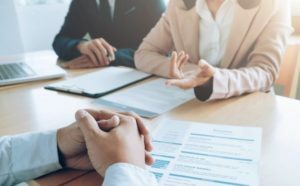 These questions are often called “screening questions”, simply becasue some banks will use them in first rounds of interviews (often conducted on the phone interview, or online, 50% of applicants are screened out at this stage). 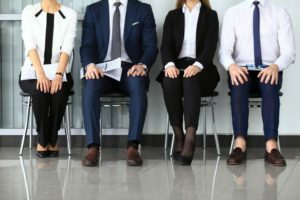 Nevertheless, not every bank will split the hiring process to a few rounds of interviews, and you may actually deal with the personal questions in any part of the hiring process. Hand on heart, credit analyst isn’t the most interesting job in the world. Hiring managers are aware of the fact. If you are one of the guys who dream of making a huge impact in their career, or, as Steve Jobs put it, you want to “put a dent in the Universe”, you will be disappointed with this career. Therefore it makes no sense to go for big phrases in your answer. On the contrary, you should refer to the most simple (yet still important) things, such as saying that you will enjoy doing what credit analyst normally do, that you prefer to work in a bank environment, or basically that you like the nature of the job, and the list of working duties. You can also say that you have all skills and strengths that are central to this position. It takes time to learn credit analysis. People who have this job tend to have it for long, ten years, or even fifteen years, before they progress to a senior position in a banking center. Such positions include: credit manager, risk manager, or investment manager. Bearing this in mind, you should say that you want to have the same position in five years time. You can say that you hope to be really good in what you do, and you can also focus on some goals from your personal life. One way or another, try to connect your future with the bank. If you plan to start your own business in five years time, do not say it in an interview. This is your chance to show them that you understand what credit analysts do, and what matters for the job. Show some confidence. Tell them about your math skills, objectivity, sense for responsibility. Show the interviewers that you are eager to learn, and motivated to work hard. Remember, you should believe into your skills, and potential. If you do not believe in them, hiring managers will hardly believe in you! This is a tricky question. Most of us do not really care about the name of our employer, and credit analyst are needed in each banking institution that lends money to people and businesses–which happens to be every bank :). But some banks pay better, and a starting salary for a credit analyst in the US can vary from $40,000 to $65,000 annually. Is this a good reason for your choice? It is a good reason for your choice, but not the one you should talk about in an interview. Try to come up with something better. You can praise the bank for something: working environment, product portfolio, their vision and goals, the way they treat their employees, their innovative approach to banking, anything. The key is to to show them that they are special in your eyes (even if they are not). If you manage to do it, your chances to succeed in this interview will improve. A lot. Why did you leave your last job (why do you plan to leave your present job)? Doesn’t matter whether you apply for a credit analyst job, or for a position of a teller. Hiring managers will always use similar behavioral questions, since each employee in a bank is confronted with the same situations. Namely: Facing pressure and deadlines, cooperating with their colleagues, and experiencing both agreements and conflicts in this cooperation, achieving success and reaching goals, as well as failing to achieve them, going above and beyond for the client (or doing less than expected), etc. Interviewers want to hear how you reacted to the pressure, if you managed to prioritize your tasks, and how did the stress you felt affected you in your daily job. Ensure them that you understand the job description, and that you count with experiencing pressure. Everyone feels pressure in work sometimes. But it is our attitude to pressure (whether it motivates us, or we crack under it) that makes all the difference. People may get mad at you, especially if you reject their credit application. Interviewers try to understand if you are immune against anger, if you can get over it quickly. If you apply for your first job, you can talk about a failure you experienced in school, or in your personal life. If there is nothing else to mention, you can even talk only about your attitude to failure. The key is to show the interviewers that you are ready to admit making a mistake, that you fail sometimes in life (just like everyone else does), but at the same time you do not take failure as something permanent, or infinite. Tell us about a lesson you learned while failing, and how it helped you to become a better worker, or even a better person. Describe a time when you went above and beyond for the client. Describe a time when you reached an important goal, and tell us how you achieved it. Special Tip: Behavioral questions are difficult. If you are not sure how to address them, have a look at our Interview Success Package. Multiple brilliant answers to all difficult behavioral questions will make your life ten times easier in an interview for a credit analyst position. Many people want to work in a bank, and you will always face tough competition in your interview. Who will succeed? Who will fail? The success is not a question of luck. Prepare for the personal and behavioral questions, and try to learn how to make a good impression on then hiring managers.